US prosecutors have released video footage of an alleged altercation involving Conor McGregor outside a hotel in Miami. The 30-year-old is accused of grabbing a fan's phone and smashing it outside the Fontainebleau Miami Beach hotel in Florida last month. At a court appearance overnight, lawyers for Mr McGregor entered pleas of not guilty to charges of ‘robbery by sudden snatching’ and criminal mischief. The Dubliner was not present in court. After the appearance, the Miami Dade State Attorney’s Office released video footage of the night in question. 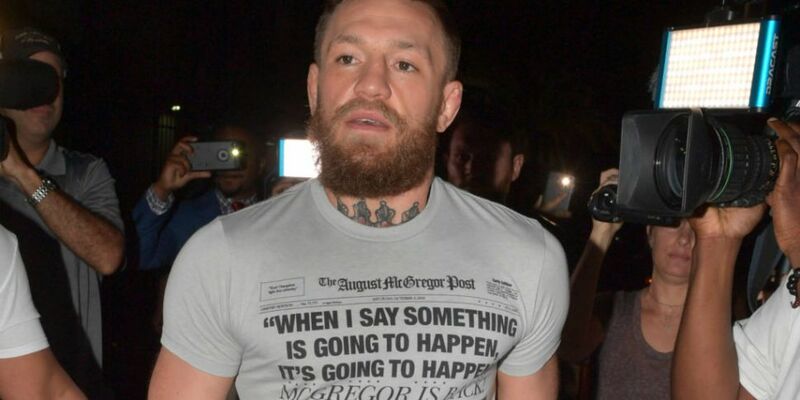 Mr McGregor is due back in court on April 30th and a trial has been scheduled for May 13th in Miami. The former two-division UFC champion appeared to announce his retirement from the sport last month.